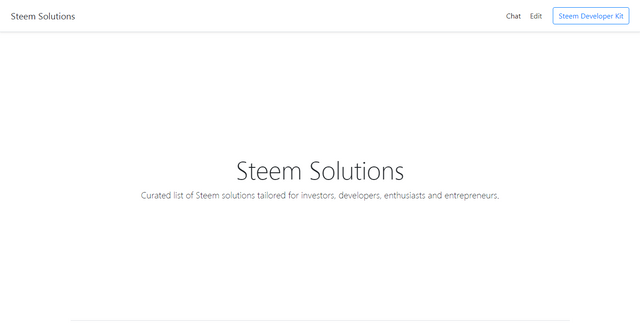 Steem Solutions is a curated list of Steem solutions tailored for entrepreneurs, content creators, and investors. The project is open source and you can contribute to it or edit any listing. After Steem SDK for developers, it became necessary to have a list of curations for entrepreneurs, investors, and content creators. We intend to develop it further, making it a pivotal point for Steem prospects. 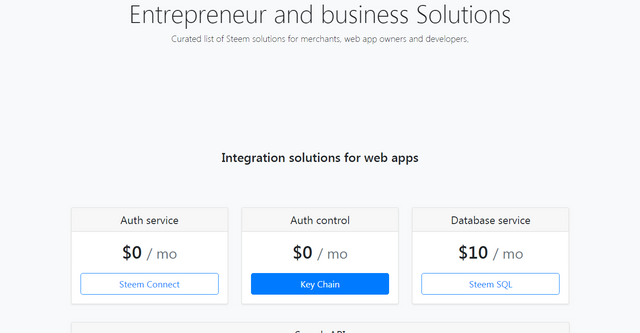 How do Steem Solutions differ from these two? Steem solutions' curation is tailored towards investors, entrepreneurs and content creators. The two other projects listed above offer indiscriminate project listing, making them more like indexes of all Steem projects. Steem Solutions on the hand is a curation that focuses on only solutions for a targetted set of people. If you would like to contribute to this project, kindly join our Discord server and make your request known. In my comment to your previous post, I wrote "I do wish there was more of it." You went the other direction. While the project is still great, and the post is reasonably well written, this feels like the bullet points one prepares before writing the actual post. I am left wanting more detail, more background, more of everything. More about the curation process, for instance. But, really, any further detail would have been helpful. Sorry for the concise report, in the next report I will try to get as comprehensive as possible.